How To Find A Job On A Superyacht! If you're looking to get into the yachting industry, you might wonder how to find a job on a superyacht. I'll guide you to the process! 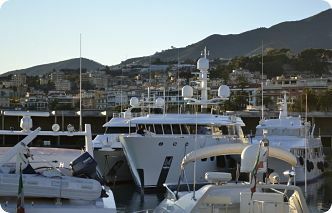 Yacht crew agencies are companies that place people on yachts. They are between all the people who are looking for a job on a luxury yacht on the one side, and all the captains and managing companies on the other side. When they receive a vacancy, the agencies will look for the best candidate for the job. Now, these yacht crew agents will begin to look into their huge database full of profiles from possible yacht crew candidates. Depending on the demands of the vacancy, they will select a few people that will make it to the next round! So, when you know this, it is an absolute must to get a profile made with those agencies. First, you have to make a good cv (which is the abbreviation of the Latin curriculum vitae) or resume. This marine resume contains all the information about yourself. Then, you go online and register yourself with several yacht crew agencies. There you will upload your cv, a picture and the certificates you have. From that moment, you have a profile which can be found! The only thing you have to do now, is to check in once a week minimum. This you do on each yacht crew agency where you have a profile. This way, you let them know you're still looking and you can can update any change in your situation. Don't forget to let them know when you've found a position, this prevents them still kooking for you and it's good manners too, by the way! All the above, you can do from behind your laptop at home. But, that's not good enough. The chances a yacht crew position will come your way like that are very low. Non-existent describes it even better! No, you have to go out there yourself. Take the plane, car or whatever and choose a known superyacht centre. Go when the timing is right! Before you go, make appointment with all the yacht crew agencies, so they can meet you in person and stick a face to your profile. This shows you take the effort and you're serious about finding a job on a luxury yacht. If they have something, you're there to go meet the captain straight away. A huge advantage towards all the candidates who aren't there! Because there are more and more yacht crew agencies who solely work on the internet without a real office in a superyacht centre. Register and make a profile there too. There are also fora around where yacht jobs are offered. You can even find vacancies on social media like Facebook and Twitter! Go to How to Find a Job on a Superyacht part II!